ww2dbaseTruk in the Caroline Islands had been the main base for Combined Fleet since the pre-WW2 days and had since been the home-away-from-home for the Combined Fleet vessels operating in the South and Central Pacific. For the first two years of the conflict, Truk was considered an unassailable bastion. However, by early 1944 the American carrier forces in the Pacific had grown so monumentally in strength that attacks that would have been unthinkable a mere six months earlier became possible. In early Feb 1944, Vice Admiral Marc Mitscher's Task Force 58 was so powerful and had such a good recent history that he thought he could arrange an attack on Truk, which was code named Operation Hailstone. The presence of Japanese land-based aircraft on the island did not deter his wish to conduct this raid. Strategically, an attack on Truk by the Americans was also important, as the Japanese garrison might interfere with American operations in the Marshall Islands. ww2dbaseMitscher arrived with an enormous force of five fleet carriers (Enterprise, Yorktown, Essex, Intrepid, and Bunker Hill), four light carriers (Belleau Wood, Cabot, Monterey, and Cowpens), seven battleships, and a full compliment of cruisers and destroyers. The fleet brought with it 500 aircraft. To prevent this very kind of devastating attack, the Japanese had already withdrawn the majority of the heavy vessels to Palau a week earlier. A few light surface warships, merchant vessels, and transports were left behind. Vice Admiral Shigeru Fukudome noted post-war that these ships remained in Truk mainly because they had been so damaged that either they were not worth saving or could not get underway. In early Feb, United States Marine Corps B-24 reconnaissance aircraft appeared above Truk, and it confirmed the American intention to strike to the Japanese. ww2dbaseA small group of Japanese aircraft struck first between 1300 and 1500 on 16 Feb. With the exception of a bomb hit on the starboard bow of battleship Iowa (which caused only light damage), the Japanese fighters were fought off with relative ease with anti-aircraft fire. A night time torpedo bomber attack damaged the carrier Intrepid, killing 11, and sending her to Pearl Harbor and San Francisco for repair for the next four months. ww2dbaseBetween 17 and 18 Feb, aerial strikes, surface engagements, and submarine attacks rained devastation upon anything Japanese on and near Truk. The most damaging aspect was the loss of 270 aircraft, for that they had been the force that checked back American shipping. The importance of this function for Truk was reaffirmed on 20 Feb, two days after the Truk strike, when Admiral Mineichi Koga ordered naval aircraft from Palau and Rabaul to transfer to Truk. ww2dbaseJapanese naval losses were also significant. Some of the ships were destroyed in anchorage, while most others were intercepted by American vessels that enveloped the area. A total of 191,000 tons of shipping, which included three light cruisers (Agano, Katori, and Naka), six destroyers (Oite, Fumizuki, Maikaze, Hagio, Isogu, and Tachikaze), three smaller warships, two submarines, and 32 transports and merchant ships, were destroyed. ww2dbaseAmerican losses were comparably minimal. A small number of men were killed in the Japanese attack before the main American strike, as previously stated. During the main strike, 21 American aircraft were lost to anti-aircraft fire, though many of the downed crew were rescued by naval vessels. ww2dbaseTruk was cut off from supplies and was reduced to near-uselessness. The garrison sat out the remainder of the war. Starvation nearly wiped out the garrison by the time Japan surrendered. ww2dbaseSources: Interrogation of Japanese Officials, Nihon Kaigun, Operational Experience of Fast Battleships, the Pacific Campaign, Wikipedia. 17 Feb 1944 US carrier aircraft began a two-day attack on Truk in the Caroline Islands; by the end of 18 Feb 1944, 270 Japanese aircraft would be destroyed. 18 Feb 1944 US carrier aircraft destroyed 270 Japanese aircraft at Truk in the Caroline Islands after a two-day raid. 1 May 1944 US Navy completed a two-day raid on Truk, which destroyed 120 Japanese aircraft. MY UNCLE WALTER F LEWIS COPILOT WAS LOST ON A B-24 NEAR TRUK ISLAND IN JUNE 1944. Maury AGS 16--In spring 1947, while on shore on Moen Island, we were not allowed to sightsee due to- hostle japanese still on Island. Signs and barricades were along the the shore roads. Seasons Greetings....Have enjoyed your website this year...Keep it comming.... Bob R.
Uncle, MIA near Truck in February of 44, J.Medialdea. Does anyone know the names of the airmen captured and executed by the *** on Truk? and was there a trial for the responsible jap officiers? Why is the carrier USS Langley (CVL-27)not listed under "Ship Participants". It surely was one. Hello, I'm looking for the name of the casualties on this battle (29 accounted for). I am looking for Georges BURGES or "Doc". Jan: My grandfather was a medic in the Pacific theater. His name was George Burges. He passed away in 1980. I've been trying to find more in formation on him. Do you have any more details on him? Maybe he's the same person. Hello MGB sorry for not answering I have been back in New Caledonia for a while now and I missed your answer. I believed my Mum told me he had a wife and a daughter in the USA at the time. That would be in 1943. He left New Caledonia in the beginning of the year 1944. My grand mother first name is Caroline. She is 97. My mother told me as well that he was tall brown hair clear eyes with a dimpled chin. I lost my dad at Turk. He was reported missing in action on April 2nd 1944. He was lead pilot in a attract on truck. His name was Theodore a Rauh, rest in peace dad. I lived in Truk for a year. I dove most of the ships available to dive on with just air---no gasses. I really am impressed with the information you gathered. Truk was truly Japans Pearl Harbor. My brother in law was on the USS Arizona and went on to be a pilot flying PBY's picking downed air crew members out of the Pacific. I was in Navy air and served a time on Ford Island in 1953. I was with the U S Navy Seabees on Moen Isle, Truk Atoll, 1949-1950. Would enjoy hearing from others that may have served there at that time . We were there to convert and establish an electrical system from Japanese to US. ?? Were there any Japanese left there at that time or were they sent back to Japan? My brother Cornelius Murphy MIA shot down at Truk Atoll on his 40th Mission April 2nd 1944. A B=24 Waist gunner. REST IN PEACE. To Jan....just read this article. My dad was on a B-24 at this battle,his tag name was "Doc" Don't know if he is the one your looking for but just wanted to give you a shout. To Frank Hayes, hope you are still looking for other who lived on Truk in early 50's. My mother lived there when she was 12/13 years old with her USMC father and mother. CWO Henry (Harry) Reed and Betty Reed. My mother was Mary Reed. Perhaps you knew them? I am searching for info on the Truk Islands during the time that USMC and USN helped to rebuild the infrastructure post WWII. Operation Hailstone secured American advances in the Marshall Islands (Kwajalein, Wotje, Eniwetok), and enabled raids farther west to Palau, as well as support for the invasion of Hollandia. 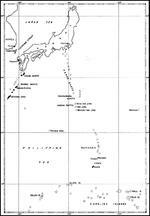 Truk was the strongest Japanese naval/airbase stronghold outside their homeland, and effectively eliminated as a forward base for the Imperial Japanese Navy, subsequently enabling the invasion of the Mariana Islands in summer 1944. It was popular photography June 1944 edition. On page 62 Smith describes the photograph, which can be found on page 47. If you find this information compelling, please correct the record here. I absolutely love and appreciate the quality of this site! And so there is full disclosure, the pilot Lt. Paul Eugene Dickson was my maternal grandfather. Does anyone know the names of any tankers that were sunk near Truk Island during WWII? My father was credited with sinking a "destroyer" In Truk Lagoon. He was flying an F6F from Yorktown. awarded Silver Star for his efforts. Would like to know more about it. Have a citation from Forrestal and another from Mitscher. My father Ensign John J. O'Sullivan flew a TBF Avenger off the deck of the USS Yorktown in February 1944, along with Mechanic Raymond E. Lord and Radioman Gene S. Berg in the battle of Truk. They were shot down, with a severed oil line. My father landed the plane on the water,and all three ended up in a rubber raft, drifting for several hours before they were rescued by the brave submariners of the USS Searaven.